The Sewing Olympics start today! While you're watching the skiing, ice skating, and more, we hope you'll also join in our Sewing Olympics here at Sew in Love with Fabric. These are events that you can participate in, with a chance to win fabric prizes! We'll be offering five different events over the next five days. Scroll down to the bottom of this post to read all the details. After today's "warm-up" event our Sewing Olympics events will guide you to make a 33" square quilt using three classic blocks (see it here!). 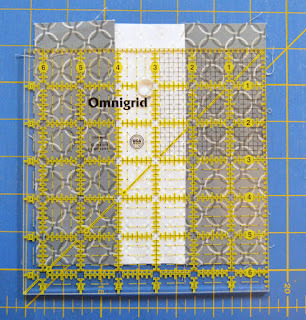 We'll be showing the blocks and assembled quilts using two different colorations of Amanda Murphy's Winter Games fabrics. We invite you to play along, either using Winter Games or any Benartex/Kanvas/Contempo fabrics of your choice. Click here to see fabric requirements. Check your seam allowance to enhance your sewing accuracy! Our Day 1 event is a warm-up, of sorts. Yes, everyone sews near a 1/4" seam allowance, but exactly how accurate is yours? Being as little as 1/8" off doesn't seem like a big deal until you start multiplying. 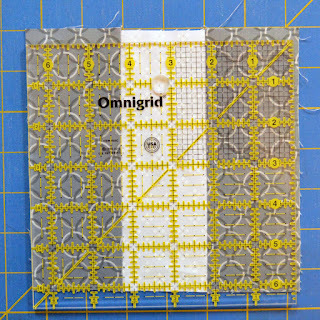 If you are making a quilt that is 8 blocks across by 8 blocks long, for example, your quilt top will be 1" smaller (or larger). 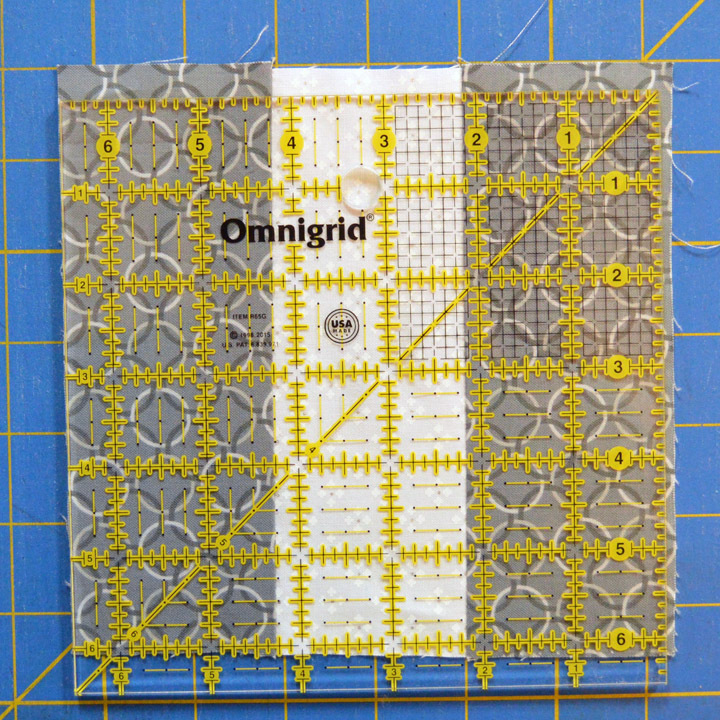 Imagine if you're 1/4" off per block--that's 2" difference for an 8 block by 8 block quilt! Testing your seam allowance helps to ensure you're sewing as accurately as possible. Let's get started! 1. Cut (3) 2-1/2" x 6-1/2" strips. 2. 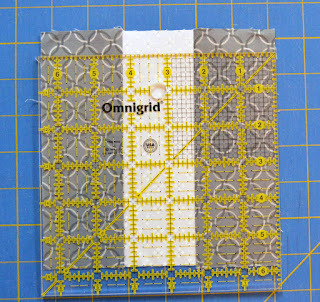 Sew the strips together using a 1/4" seam allowance. Measure your finished piece. It should measure 6-1/2" square, and your center strip should measure 2" wide. In the example below, the seam allowances are greater than 1/4". 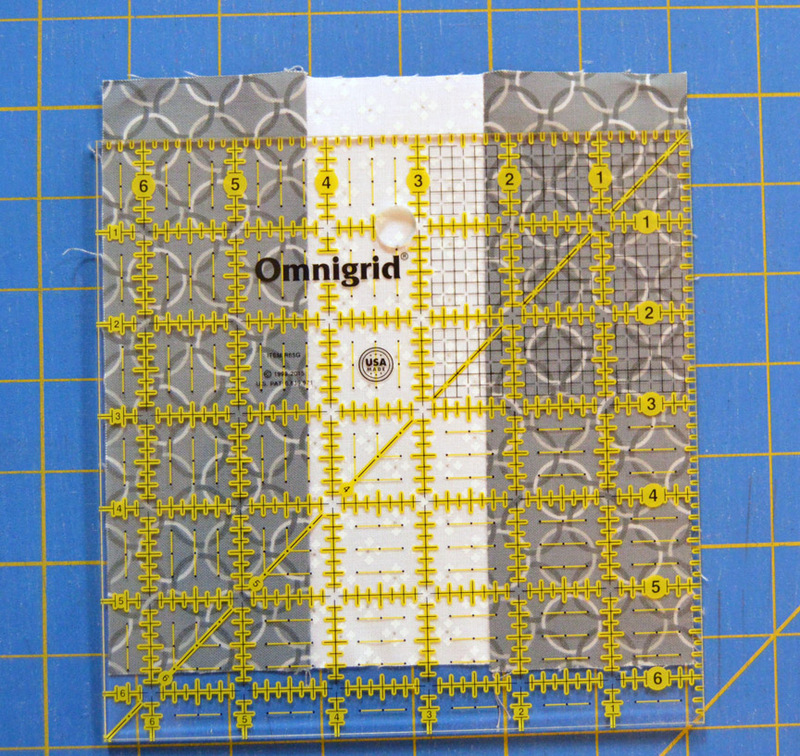 The pieced strip measures approximately 6-1/4". Time to try again! In the example below, the seam allowances are less than 1/4". 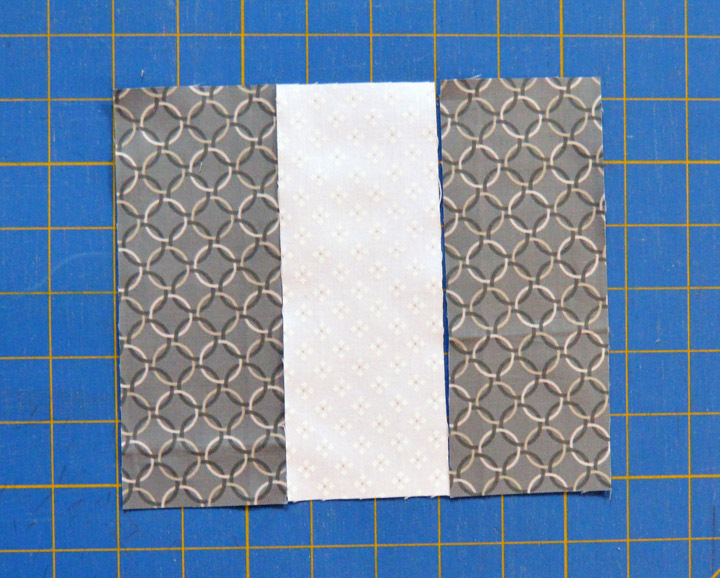 The pieced strip measures more than 6-1/2" wide, and the center strip is wider than 2". Let's try one more time. 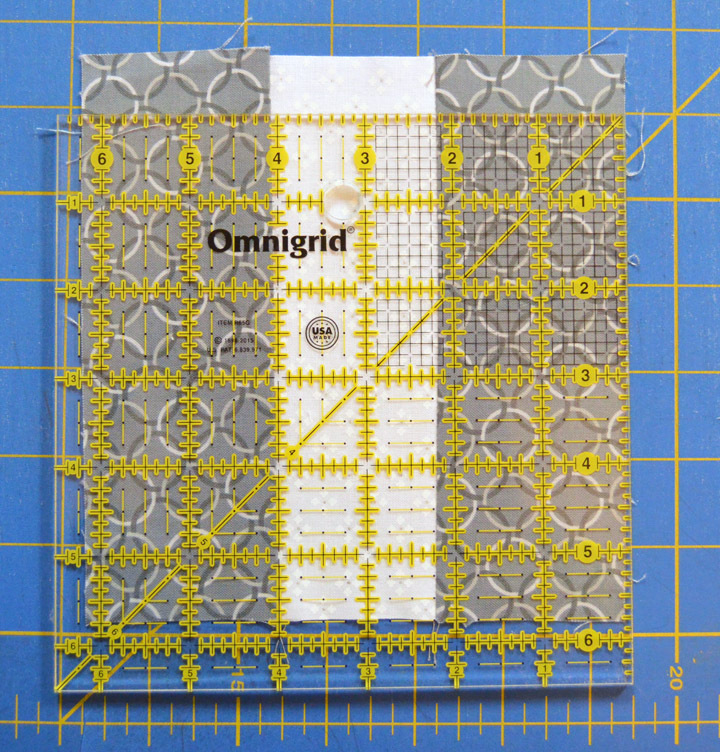 This example looks good--it measures 6-1/2" across, and the center strip measures 2". 3. Once you're satisfied with your seam allowance, take note of what mark you used on your machine and use it every time so that your blocks are consistent. To enter today's sewing event, sew together (3) 2-1/2" x 6-1/2" strips to check your seam allowance. Send a photo of your pieced strip to socialmedia23 (at) gmail.com with the subject line "Sewing Olympics Day 1". Your sample should use Benartex, Kanvas or Contempo fabrics. Include your full name and mailing address. Contest open through Sunday, February 11th at 11:59 pm EST.